A flexible round ring binder, with a stylish graphic border on cover that helps your work look great. 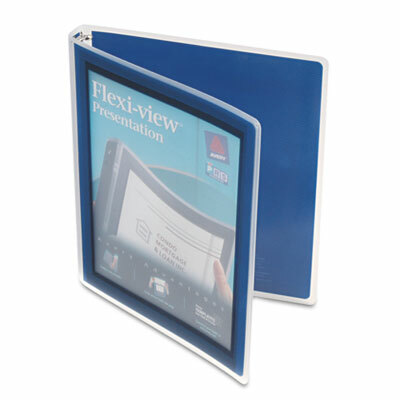 See-through view pocket encourages you to customize both the outside and inside front cover for more professional presentations. Nonstick material prevents ink and toner transfer from printed pages. A flexible round ring binder, with a stylish graphic border on cover that helps your work look great. See-through view pocket encourages you to customize both the outside and inside front cover for more professional presentations. Nonstick material prevents ink and toner transfer from printed pages. PVC-free.